There are lots of ways to find affordable housing, but the best and easiest way is to go directly to your States Housing website. To get there, first go to this portion of the main HUD website HERE. Then, click on your state. Most of the state websites follow the same format and have almost the same exact layout. 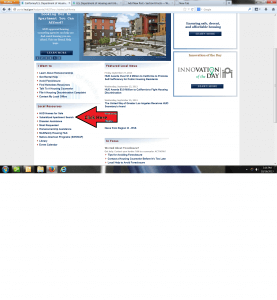 On the front page(bottom left) will be a section called “local resources.” You will want to find the section under there called “subsidized apartment search.” Here is a screenshot of what it looks like. Once you click on the apartment search, it will take you to a new page where you can put in your specific search criteria (city, number of bedrooms, etc.) and it will give you a listing of apartments with contact information. It’s a very useful tool and is the simplest way to get all of the latest available subsidized housing in your area. **NOTE – there is a message on the website now that the information is not guaranteed to be up to date because of the government shutdown. I wouldn’t worry too much about that since the shutdown has only been for a week or two and should be cleared up soon. this blog, this blog is actually amazing.